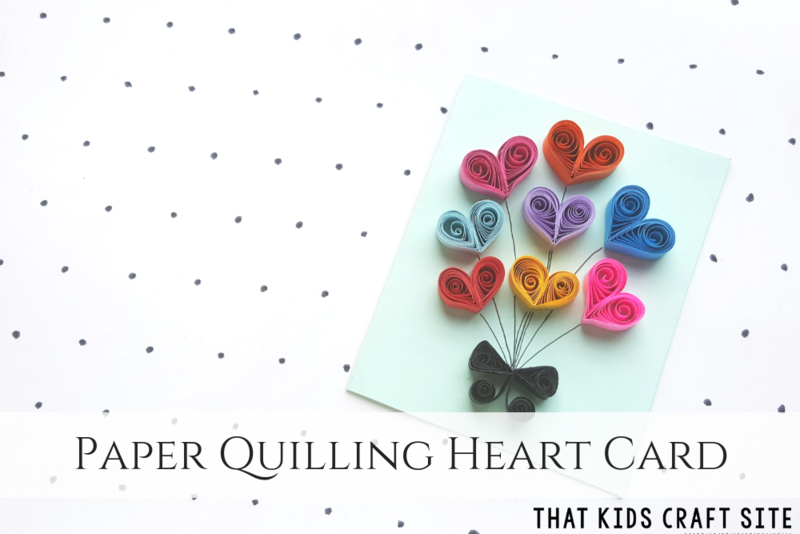 Quilling is making waves in the craft community and this paper quilling heart Valentine’s craft for tweens and teens is sure to be a hit! Valentine’s Day will be here before you know it and this year it’s all about giving the most unique cards to your special friends and family. These paper quilling heart cards are a great way to add your own personality to a Valentine’s craft that will be treasured for years to come. 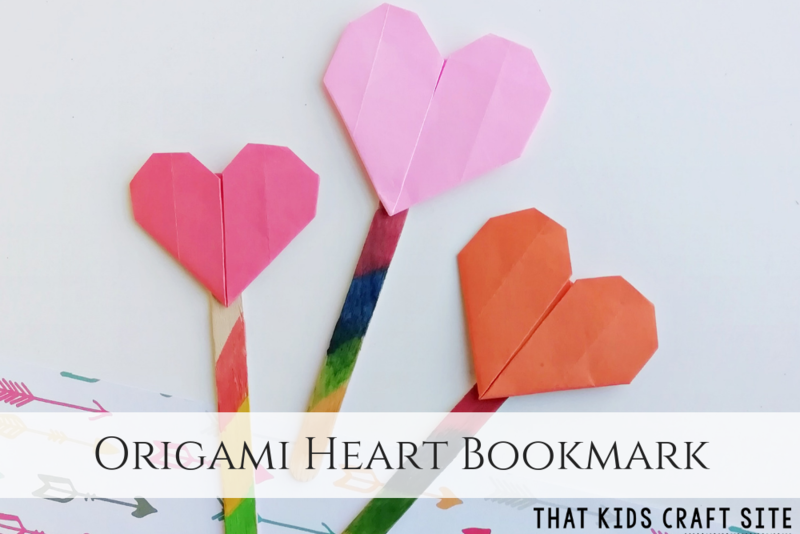 After some trial and error, we recommend that tweens and teens try this craft, as it may be too complicated for preschool and elementary crafters. Adults are always welcome to give it a go as well! Paper quilling may seem like a challenging craft, but it’s not as hard as it looks. With a little practice and the right tools, you can create a quilled creation in no time. The key is to be open to making mistakes as you learn and perfect your paper quilling techniques. We’ve included affiliate links to some of our favorite paper quilling tools and supplies below in case you need some recommendations. Take 2 quilling strips of the same size and color. Create 2 teardrop shapes with both strips. Attach the 2 teardrop shapes side by side to form a basic heart shape, keeping the pointy ends on one side and the curved end on one side for both teardrop shapes to form the heart shape. 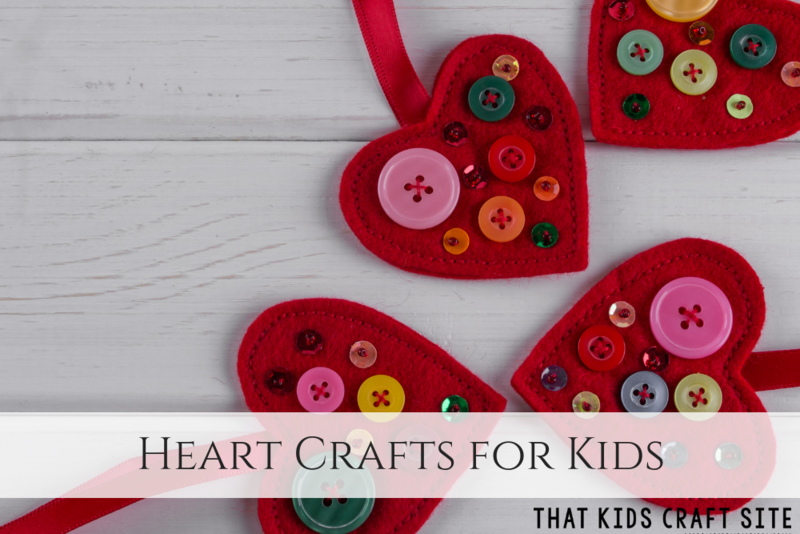 Grab more quilling strips and create more quilled heart shapes. Use 2 strips of the same size and color to form each heart shape. Take a black quilling strip (or any dark color of your choice) of the same strips used for the teardrop shapes. Cut the black strip into 4 equal parts. Use 2 of the strips to create open loose coils. Use the 2 other strips to create triangle shapes. Prepare the card or a piece of paper for the balloon art. Sketch an arrangement of the balloons in mind or you can also use a pencil to trace small dots on the paper. Start to glue the quilled hearts on the paper. One by one stick the quilled hearts on the paper, keeping the bottom end of the heart pointing towards the bottom of your paper. Use the black marker pen to trace the strings of the balloon, joining all strings at the bottom side of the balloons. To make the bows, stick the 2 triangle shapes on the joint part of the balloons, keeping their wide parts facing outside. Also, stick the open loose coils adjacent tothe triangle shapes but keeping the coiled parts facing downwards. Want to add more details? Go ahead! Make more fun quilled shapes and get creative! Print out the instructions for making the quilled paper heart cards by clicking the Print button below. You’ll be able to take them with you to your craft club, a friend’s house, school, and more! 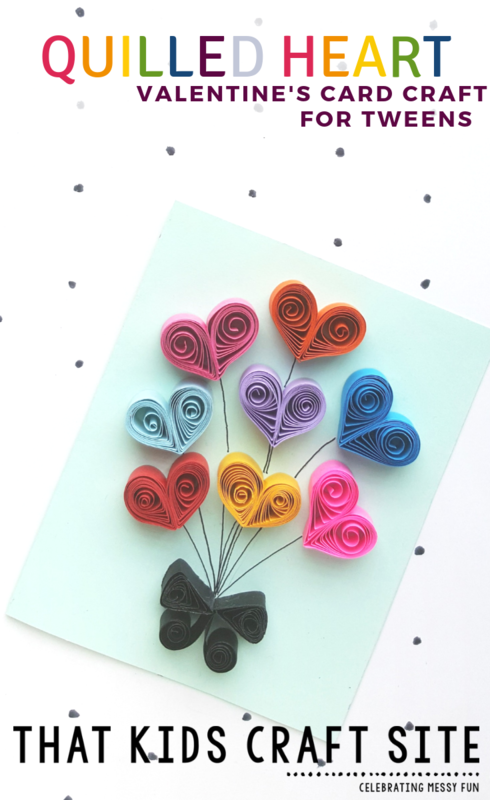 Try your hand at the art of paper quilling with this paper quilling heart balloon card. It's the perfect Valentine's card craft for tweens and teens! To make the bows, stick the 2 triangle shapes on the joint part of the balloons, keeping their wide parts facing outside. Also, stick the open loose coils adjacent to the triangle shapes but keeping the coiled parts facing downwards.